With the capability of a midsize pickup truck, but the driving dynamics of a midsize SUV, the 2018 Honda Ridgeline strikes a compelling balance between the two. While it suffers from some compromises compared to traditional trucks, the Ridgeline can haul more than 1,500 pounds in the bed, tow up to 5,000 pounds, and still offer the refinement and technology of an SUV. Honda Ridgeline - it's a truck but also a comfortable "car". Vehicle is comfortable, has a number of desired electronic amenities, developed a water leak in the first 3 months of ownership that is currently under repair (note winshield was replaced by the dealership before my purchase of this new vehicle), doesn't have a locking tail gate but has a locking "trunk"; vehicle is comfortable to ride and drive, vehicle is harder for persons to get into the back seat, vehicle has a tough bed liner as a standard feature. Luxurious drive - even for a truck! Every option you can imagine in this vehicle. I always loved owning a truck. I haven't actually owned one since 1985. 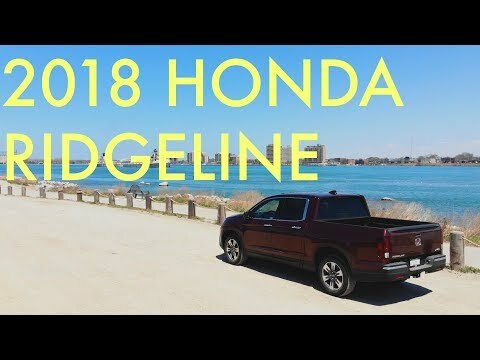 I wanted a Ridgeline when Honda first came out with it but life just did not fit with a truck. I'm 64 & retired & lovin life driving around in my luxury pickup truck! And boy do we use it as a truck!!!!! Haul stuff to the dump - to our new home 3 states away, etc!!!! LOVE IT!